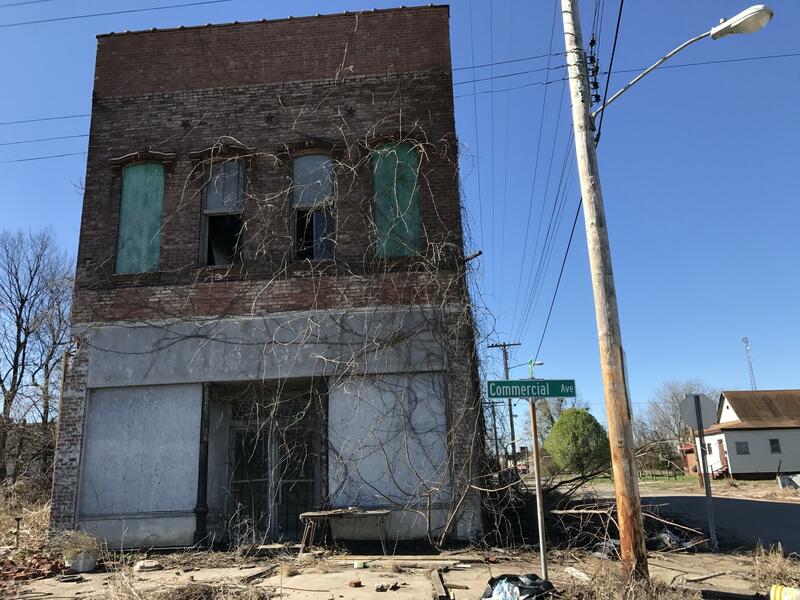 Cairo, Ill., is one of the fastest depopulating communities in the nation, with abandoned buildings throughout the river town. The federal government plans to demolish two public housing projects where many of the remaining residents live. Decades of corruption, economic upheaval and racial tension have led Cairo, Ill., to become one of the fastest depopulating communities in the nation. Earlier this year, Carson's department announced it would close rather than repair the Elmwood and McBride housing projects. Residents there have long complained of squalor and poor living conditions following years of alleged mismanagement by the scandal-ridden Alexander County Housing Authority. At the forum Tuesday, residents of the projects like Steven Tarver pleaded for help from the secretary, a former neurosurgeon and onetime Republican presidential candidate who has had no government experience before his current position. "When you were doing your operations, just like they called you and said, 'Dr. Carson, come, this heart needs to be repumped,' " Tarver said. "Our heart needs to be repumped." Carson said he was in town to offer assurances that HUD will help everyone who wants to stay in Cairo to be able to do so. The agency has not given families a hard move-out date. But HUD has said it is no longer in the home construction business. In an isolated town like Cairo, it is unclear where people will go once the projects are demolished. Of the estimated 400 people affected, only 10 families have found new housing, according to HUD. The closure of the projects, where many of the remaining residents of Cairo live, has drawn national attention. The predominantly African-American, rural town used to be a thriving port at the confluence of the Mississippi and Ohio rivers. But decades of corruption, economic upheaval and racial tension led it to become one of the fastest depopulating communities in the nation. Today, Cairo's struggles raise tough questions about what can or should be done to save small towns. "All we need is time," said Phillip Matthews, a pastor and local activist. Community leaders like Matthews said the town is close to inking a deal with a private developer to build more public housing. There has not been a new home built in Cairo in 50 years. Matthews said he felt encouraged for the first time in years after a private meeting Tuesday with Carson. "He listened, and he asked questions," Matthews said. "You're not going to get anything done if a person comes to a meeting with a closed mind." Matthews said he was also encouraged by the secretary's vision of rebuilding the economy in small towns like Cairo. Town leaders are working with the state to establish a new port that could spur growth. None of this is of much solace to residents like Melvin Duncan who are in crisis right now. "I think it's a political thing, the reason why he's coming down here," Duncan said. "He already sent a letter saying it's unfortunate, but we can't help you." Duncan, 38, has lived in the sprawling McBride projects on Cairo's south side for almost his whole life. He said he may have some leads on housing in Kentucky, but his job and his family are in Cairo. Duncan said he will be the last to leave and that he would have to be dragged out of the projects. "This is my home," Duncan said. "Before they tore down our hospital, I was born in that hospital." Housing Secretary Ben Carson is pledging to do all he can to help hundreds of residents who will be displaced from two run-down public housing projects in Cairo, Ill. A few months back, Carson's agency announced it will close, rather than repair, those projects, where many of the town's remaining residents live. NPR's Kirk Siegler has been covering the crisis. He reports that Secretary Carson paid a surprise visit yesterday to a town that's on life support. KIRK SIEGLER, BYLINE: Cairo used to be a thriving river port at the confluence of the Mississippi and Ohio Rivers. But decades of corruption, economic upheaval and racial tension led it to being one of the fastest depopulating towns in the nation. And today, Cairo's struggles raise all kinds of questions about what can or should be done to save small towns. The despair there is palpable when you listen to Steven Tarver address Secretary Ben Carson, during this hastily organized forum at the high school gym. STEVEN TARVER: When you were doing your operations, just like they called you and said, Dr. Carson, come, this heart needs to be re-pumped. SIEGLER: Tarver is talking in a video of the event streamed by the Southern Illinoisan newspaper. TARVER: You came here today. Our heart needs to be re-pumped. SIEGLER: Secretary Carson, the former neurosurgeon, said he came to assure people that HUD will help everyone who wants to stay in Cairo do so. The agency has declared the apartments of the projects unlivable but hasn't yet given families a hard and fast move-out date. Now, the acoustics were lousy in the gym, and the soft-spoken Carson was tough to hear. BEN CARSON: There is a big problem here. SIEGLER: But he said federal and local officials have to do everything in their ability to fix the crisis. Carson was light on specifics. HUD has said it's no longer in the home construction business. So in an isolated town like Cairo, it's not clear where folks will go once the projects get demolished. PHILLIP MATTHEWS: You know all we need is time. 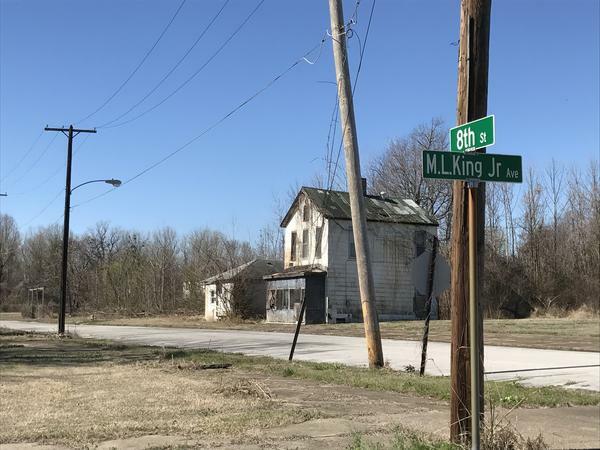 SIEGLER: Community leaders like Pastor Phillip Matthews say the town is close to inking a deal with a private developer to build more public housing. Matthews met with Carson privately yesterday and left feeling encouraged for the first time in years. MATTHEWS: You're not going to get anything done if a person comes to a meeting with a closed mind. But if you come objectively, which I believe that he did - and he listened, and he asked questions. SIEGLER: Of course, none of this is much solace for people like Melvin Duncan, who are in crisis right now. MELVIN DUNCAN: I think it's a political thing - the reason why he's coming down here - because he already sent a letter saying it's unfortunate, but we can't help you. SIEGLER: Duncan, who's 38, has lived in the projects most of his life. His job and his family are in Cairo. DUNCAN: This here is my home. Before they tore down our hospital, I was born in that hospital. SIEGLER: Duncan has told me several times he'll be the last to leave the projects. They'll have to drag him out. So far of the 400 people affected in Cairo, only 10 families have found new housing. Kirk Siegler, NPR News. (SOUNDBITE OF THE WATER'S "VIKINGS") Transcript provided by NPR, Copyright NPR.